It has been more than a week since I'd received my very first set of Invisalign aligners, and I feel great about them! I've wanted to go on this journey for quite some time now because I've always been envious of celebrities with perfectly straight teeth. For example, check out Miley Cyrus's teeth before and after she had some help straightening them. I want to feel just as confident as she is with her teeth, and I can't wait to finally get to that stage by early next year, if everything goes well. I've always acknowledge the importance of a great smile, I think that the quality of one's teeth reflects on their personality and habits. It always feels nice to look at someone with a perfect smile right? It shows that they put in extra time and effort to clean and polish their pearly whites. Alike most of my peers, I haven't gone for a dental check up since primary school. That's about 8 years ago! I gave my teeth that much amount of time to shift into an undesirable shape, and have been brushing my teeth the wrong way, so much so that I now have a receding gum line. All of those could have been prevented earlier if I had gone to a dentist. But it's never too late to kick away the bad habits and straighten my teeth before it gets worst. Personally, I thought the main problem I faced was just the crooked lower set caused by overcrowding. This is a very common problem that occurs in most of our teeth. Why don't you check yours to see if you're suffering from it as well? Since it's a common issue that most people face, I didn't feel that bad about my teeth at all. Little did I know that I have even more problems that I wasn't aware of, which I will explain further later on. I knew it had to fix my teeth! Hence, I decided to get Invisalign instead of traditional braces because it's obviously much more aesthetically pleasing to the eye, since it's invisible, which is great so that I can go about modelling and acting without it interfering! If you're interested to know more about Invisalign, continue reading, I'll talk more about its advantages later on. Apart from overcrowding, here are some of the other problems patients may face. All of which, whether they're minor or complicated, can be corrected with Invisalign. The following image was taken at the i.Dental Invisalign talk, where I learnt about the purpose of Invisalign. Invisalign is able to correct not just your teeth, but the shape of your jawline as well. This goes to show that not everything should be solved by plastic surgery, botox or fillers. If you think your jawline can be improved to look more aesthetically pleasing, maybe the problem lies in your teeth instead. Do you recognise any of the following problems with your teeth? To be honest, I felt extremely nervous during first check up at i.Dental. I was expecting it to be as dreadful (and somewhat painful) as my check ups in primary school. I wrote about how rough the school nurse was in handling my teeth in this blog post here. But that wasn't the case at all at i.Dental. The Invisalign Dedicated Clinic had an optimistic atmosphere that immediately made me feel a lot calmer. The television depicted videos on how Invisalign can change your life for the better, and that made me even more excited to start my journey. I felt so encouraged that the fear just slipped by eventually. Dr. Cheng, the founder of all i.Dental clinics, is an extremely experienced dentist who has helped improved smiles and shaped facial features for thousands of patients over 20 years. I posted a photo of him on my Instagram once and received a couple of comments saying things like "My childhood dentist." or "Same dentist as me!". My friend Ashleigh who has perfectly straight teeth also commented - "My dentist who did my braces!!!!". I knew immediately that I was in good hands. Once the initial check with Dr. Cheng has been made, I was transferred to a different dental room. Here, study models and 2D photos of my teeth were taken. It was a fuss free process where I had to simply lie back and relax while the professionals took over. And with that, the first consultation came to an end. On the second visit, which was less than a week later, I met up with Dr. Cheng who diagnosed my problems and came up with solutions to solve them. This was when I found out about problems I never knew I had before. Apart from those issues, I also have a protruding tooth (premolar) on the upper right of my gum-line, causing an uneven smile. This is the reason why I only take photos from my left profile, but now that I've ventured into acting, I can no longer hide that flaw on camera. Hopefully, I'll be able to take pictures from any angle by the end of my Invisalign journey. Other problems I'm facing includes a receding gum line, as mentioned earlier. This is due to wrong brushing techniques. Apparently, I've been brushing my teeth too hard, causing my gums to recede, thus exposing the roots! No wonder I've been experiencing sensitivity in recent years. I can no longer bite into an ice cream without feeling discomfort :( This issue can be quite a dangerous one if I don't change my brushing techniques. With the roots exposed, I may lose my teeth earlier than I should in future. Everyone, please brush your teeth gently with a soft bristle toothbrush. I always kinda knew that my wisdom teeth were growing, since one of which is constantly giving me problems. But I never had my condition diagnose until my visit with i.Dental. 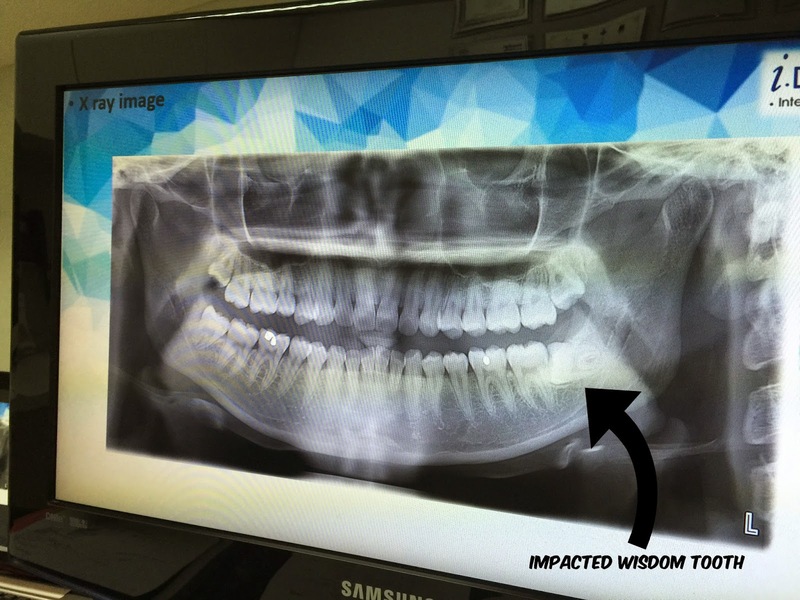 The X-ray scans I've undergone to further access the structure of my jaw showed a clear image of all my wisdom teeth. It was the first time I actually got to chance to take a good look at them. I guess they're all looking fine except for one little guy at the bottom right of my jaw. To my horror, it is growing in a horizontal direction towards the rest of my teeth. This is what we call an imparted wisdom tooth, also known as the worst case scenario :( Why must this happen to me?! Once the problems have been identified and analysed, it was time for cleaning! Final moulds that would shape my Invisalign aligners were then taken. About a month later, the big day arrived!!! I finally received my very first set of Invisalign aligners on 6th April 2015. I've been waiting anxiously for this day to come because I'm so excited to straighten my teeth. 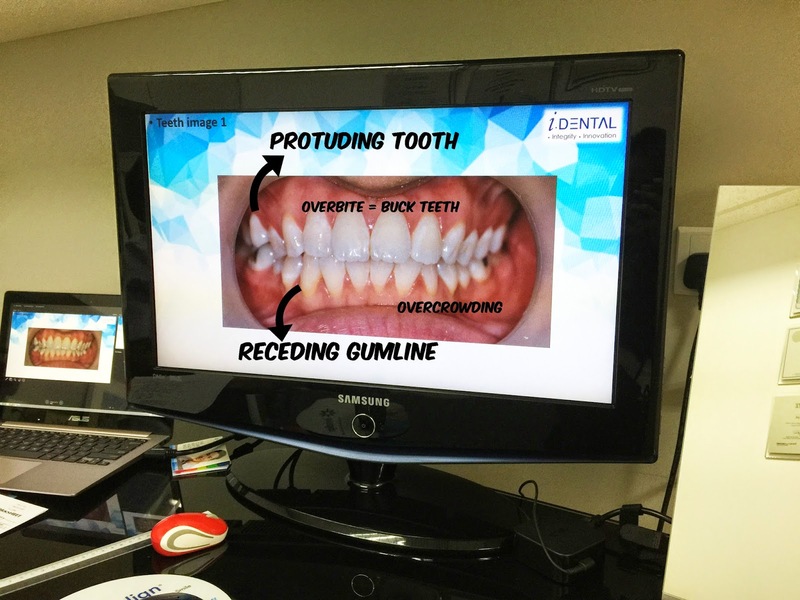 Watching one last animation showing how my teeth will look like at every stage of the the treatment, and how they would move into their desirable position over time. You can watch the video here too! The procedure felt like a celebration when the aligners fitted well into my mouth. It felt a little weird to have something foreign stuck onto my teeth for the first time. That was when reality sunk in and from that moment on, I knew I had an extra responsibility to take care of an extra part of me - my aligners. Wearing the aligners are super easy! You just have to place them at the right spot and push them in like how you would wear a hat or shoe. Taking them off for the first time was quite a challenge since aligners naturally feel tighter at the start of the treatment, but Dr. Cheng was very patient in guiding me on how to do it in a safe and gentle way. About two weeks into the treatment now, and I am a pro at wearing them and taking them off. I can even do it with my eyes closed! hehehe. Apart from teaching me how to wear the aligners, Dr. Cheng briefed me on how to take care of them and gave me some tips on how I can attain an even more enjoyable Invisalign experience. I was so eager to head home, brush my teeth and put them on! Finally, I was directed to my Invisalign Relationship Manager, Ms. Angie who gave me a thorough run through on what I have to know about my new set of aligners. The instructions seemed a little complicated at first when I heard them but it only took me 3 days to get use to it. Some of the things I have to do includes taking off the aligners before I eat, and bringing my toothbrush and tooth paste along with me wherever I go, because I am required to brush my teeth every time before I put the aligners back on after eating. It may seem like a chore but once you get used to it, these steps become second nature. I've been wearing my aligners ever so diligently over the past 2 weeks! I didn't think I would get use to them at first since my speech was a little affected, I couldn't enunciate certain letters well, and I couldn't portray certain expressions as natural as how I used to be able to. But as time went by, I've learnt how to work around my aligners and everything is almost back to normal again! In fact, I actually feel naked without them now. hahaha. I carry my Confidence Starter Kit everyday with me now! It contains all the essential tools I need to use on a daily basis. Some of such tools include a case to store my aligners while I eat, toothbrush and toothpaste for cleaning and a nail file to smoothen out any rough edges of the aligners. Thank you i.Dental for going the extra mile to help all Invisalign patients like myself enjoy our journey a little more. With all my necessities kept in one pouch, I don’t have to worry about losing anything! Photos from my recent advertorial shoot, I bet you can't tell that I have my Invisalign aligners on! :) It's great fun being able to do what I do best, while secretly straightening my teeth at the same time, without anyone knowing at all! I almost don't feel the aligners at all, some times to the extend of forgetting that I'm even wearing them. In fact, wearing them gives me some sort of comfort, knowing that I'm on my way to achieving my dream smile soon. And that's it! If you wish to consult a dentist and have your teeth evaluated, I highly recommend trying i.Dental out. There are only a few clinics out there that provides Invisalign treatment. All Invisalign Providers must attend and complete specialised training in order to treat patients with Invisalign. There is no better place to get it done than at i.Dental, an Invisalign Dedicated Clinic. Professional SEO Services in Faridabad! We offer free consultation for all businesses. Give us a call today to learn more about our SEO Faridabad and how we will rank you on the 1st page of Google! u r lucky to have a relationship manager. for my case, i was well forgotten by them!! clincheck ready but they did not call me!! now my scheduled date to receive aligners is going to view clincheck.. disappointed with the service.. I went to i.dental in Yishun and waited for 2 months for my first appointment. I then waited 3 months for my second appointment. The waiting time is crazy! Thanks so much for the post! Expensive, time-consuming dental treatments have always made me nervous, but getting to see the step-by-step is really helpful. I'd love to know--how long was the entire process for you, start to finish? Just wondering how long I should set aside in terms of scheduling, healing process, etc. Thanks so much! If you ever have to have a tooth extracted, consider the sleeping gas because i didn't and I think I am traumatized. I went with the numbing agent and so I could see and hear everything. The cracking and breaking of the tooth as it is pulled was so nasty that I hear it in my sleep. I wish I knew before I said no gas. Wow thank you for this really thorough blog post, it really gave me an insight into what it takes to get your teeth repaired, and I must say they look fantastic now, you are blessed to have such an experienced dentist working on your mouth. Thank you again for sharing this in depth process and I hope all is well. Thank you for sharing this with us in an extensive blog. My thought is how much does a procedure like this cost and does medical aid cover it as my wife is looking to do something very similar. Thank you for making it so incredibly detailed so we can really see what measures have to be taken, thank you again. My friend was having more fear about the invisalign treatments, after read your blog know more benefits and your best experience on a treatments.So really its a nice informaztion since i wish to share with my friend abou this great blog. Thanks for sharing your Invisalign journey. Great Write. first experience is more depend on again visit in dental clinic. For dental doctor customer friendly nature is compulsary. Thank you for sharing. Yes. experience always matter with all customers. Really great post. thank you for this post. "Really Good Useful & informative blog. 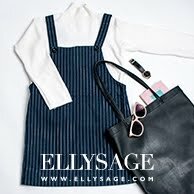 Really like to read this blog. great article.The blog was really nice, I really found out about a lot of Awesome content. you can check these blog to get different types of knowledge"
Oral health is way more important than anything but most people don't understand this . I wear braces and my Orthodontist Colorado Springs made me understand how important our teeth are and the care they need. I didn't know much about it before but now, Even I can tell people to take care of oral health and hygiene.